If you need professional Voice Overs for Radio Commercials we have a wide selection of experienced voice over talent. Magic Studios can make you radio marketing message float “on air”. 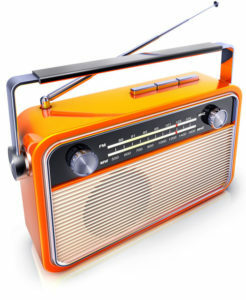 A radio advert is a great way to promote your product or branding. Because we have three professional recording studios a radio audio production can be completed in just a matter of days. Magic Studios produces high quality commercials for any radio needs. We can also help develop a radio advertising script that maximizes your conversions and gets your businesses message across to your target audience. How much do voice overs for radio commercials cost? 2. The length of the radio commercial. Most standard radio commercials today are 30 seconds. In addition if the radio commercials are political (during election time) or if they mention alcohol extra charges apply. Why use Magic Studios for my radio advertising audio production? Rather than rush your production to get you out of the studios quickly so we can get back on air, we take the time to get your audio production sounding great. Our voice overs are all professionals. The are mainly already working in the radio industry and are experienced in getting you radio production right. Our qualified and experience sound engineers can help you select from a huge range of music and sound effects to bring out the best in post production. We use only the best audio software and hardware, including Rode and AKG microphones. We also use Avid Pro Tool’s recording and audio editing software. Call us on 1300 100 333 or email info@magicorp.com.au for a obligation free quote.